Move Along Whelan – An End to the Wrecking Ball? We are thrilled to announce that the City of Melbourne has unanimously approved a new review of built heritage in the Hoddle Grid at last night’s Future Melbourne Committee meeting. This is a major victory for heritage campaigners. MHA’s hope is that this will now see ALL the recognised heritage structures up to the post-WWII era within most of our borders covered by a heritage overlay and therefore prevented from demolition or inappropriate development. Both MHA and the National Trust made presentations at the meeting, urging Council to undertake the review all at once and as quickly as possible. Cr. Rohan Leppert proposed staging the review over two years,which is a satisfactory compromise to the four recommended by Planning Officers, given the scope of the project. MHA also commends Cr. Leppert’s move to extend the proposed area to include the area bounded by Latrobe, William, A’Beckett and Swanston Streets, which was not covered by the original plan, nor by the recent City North Heritage Review. Cr. Jackie Watts made the important point that spending money on this review is not a cost but an investment, while Felicity Watson of the National Trust reminded us that when heritage guidelines are out-of-step with community expectation we see long and costly battles like the one being fought over the Palace Theatre, a building that should have received a higher level of protection years ago. 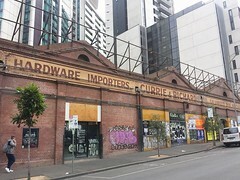 Since MHA first formed in 2010, one of our key campaigns has been the need for an updated Heritage Review of Melbourne’s CBD (the last was conducted in 1984). We have worked hard to demonstrate the need for this review and have highlighted the many parts of the city with inadequate protection such as interiors, laneways, post-war buildings and so on. MHA was pleased to see a unanimous vote and applauds the City of Melbourne in taking this important step to significantly improve the protection of Melbourne’s built heritage. 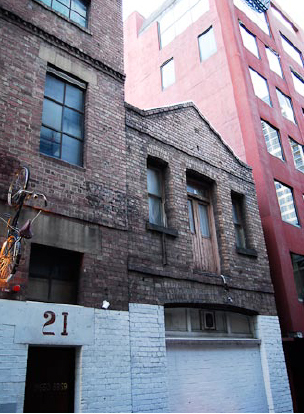 We hope small laneway buildings will receive better protection. 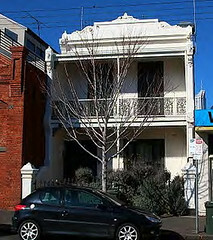 The location/s of the first year’s portion of the study be determined by management after further considering geographical, building type and urgency factors, as well as the ramifications of the Minister’s recent application of interim heritage controls over nine “C186 part 2” buildings. Refers this resolution to the 2016-17 Financial Year Budget and Planning process. Link to the meeting minutes and the recording of the meeting on the City of Melbourne website.